So you've managed to complete the main quest in Skyrim so what do you do now? We've got 10 great suggestions to keep you busy and enjoying Skyrim to its full potential. You've obviously completed the Skyrim main quest so there's no harm in sharing that you're probably disappointed right? A little too short for you liking? Well, you're not alone. If you can't wait until the official DLC is released or if you're playing on a console with no mods, then try some of these suggestions. Skyrim is full of potential, you just need some ideas..
To get this special power, you'll need to join the Champions guild (in Whiterun). They'll grant you the gift of Lycanthropy which allows you to turn into a deadly werewolf. Turning into a werewolf increases your melee damage and lets you run as fast as an animal. Fighting a dragon whilst morphed as a werewolf is a great experience. Make sure you don't complete the final Champions guild quest otherwise you'll give up your Lycanthropy gift. Killing dragons is very rewarding but the loot they drop is even more valuable than you think. Most people will just sell the bones to the local trader but others will keep some on stand by for when they get enough smiting skills to create the ultimate armor. 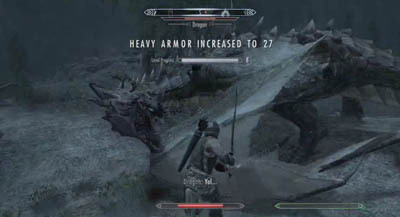 Dragon armor is one of the strongest materials in the game, you just need a lot of smithing skills to create it. This might seem obvious but you'd be surprised how much more there is to explore away from the locations where the main quest takes you. Find small villages, hidden caves and ancient relics. Just go off the beaten track and see where you can get too. The edges of the map are a great place to explore as well as within the deepest forests. If you thought dragons were tough then you better watch out! Giants are even harder to beat and more rewarding. You can usually find a giant strolling along a path with a mammoth close by. Giants won't pick a fight with you unless you attack them first. If beaten, a giant leaves behind some nice XP, gold and a bunch of other stuff to pick up. Yes, you can even get married in Skyrim. It's not just a case of chatting up the first character you come across. No, you need to have mojo. First visit the Temple of Mara in Riften and talk to the priest named Maramal and he'll give you the chance to buy the Amulet of Mara. Wear this necklace and you'll open up new dialogue options with the potential to get married if the person likes you. Once you're married, you can move to any house you own or move into your spouses home. If you want to become a vampire then you'll need to find another vampire first. Check out the Bloodlet Throne in the mountains of Falkreath. There are also vampires in Haemers Shame along the south pass near the Throat of the World. If you fight a vampires then you have the chance of becoming infected every time they hit you. Once infected you'll pass through 4 vampire phases over several days (unless you drink blood from sleeping NPCs). As each phase progresses, you become weaker to fire and by stage 4, all NPCs will become hostile towards you. Luckily, at stage 4 you will also get the Embrace of Shadows power which makes you invisible for 3 minutes, nice! There are so many side quests in Skyrim that you can get hours upon hours of extra gameplay just from completing them. Talk to people wherever you visit and you'll open up new quests and adventures. Side quests are not usually just one offs either, so set one in motion and you'll usually open others along the way. Remember when you started playing Skyrim you got to choose your race? Each race is split into 3 categories from human, mer (elven) and beast. In total there are 10 playable races in the game, each with their unique abilities and powers. 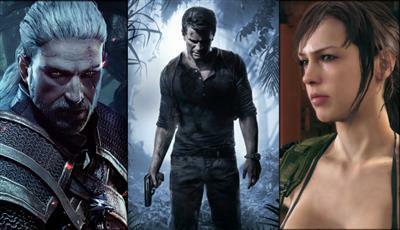 Although you'll have to start the game from scratch, it's fun to explore what other characters have to offer.